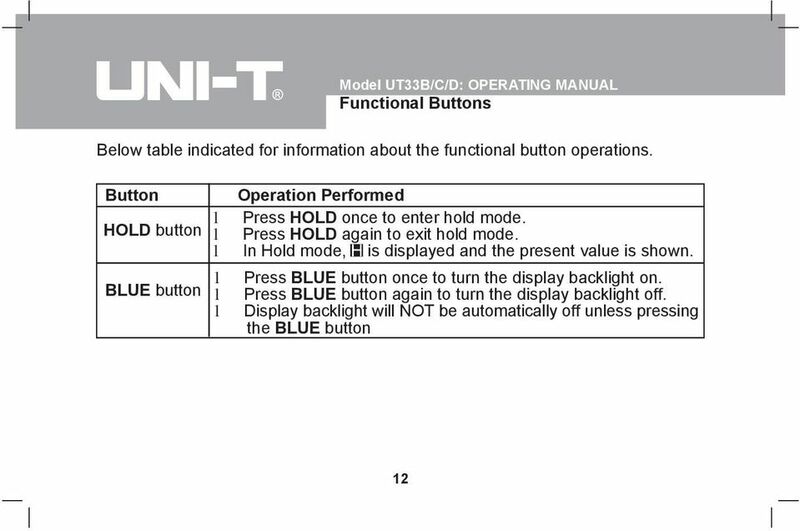 Download "Model UT33B/C/D: OPERATING MANUAL Table of Contents (1)"
Remark: The model of UT30B,UT30C,UT30D will be marked as UT30BL,UT30CL UT30DL,if they have backlight function. 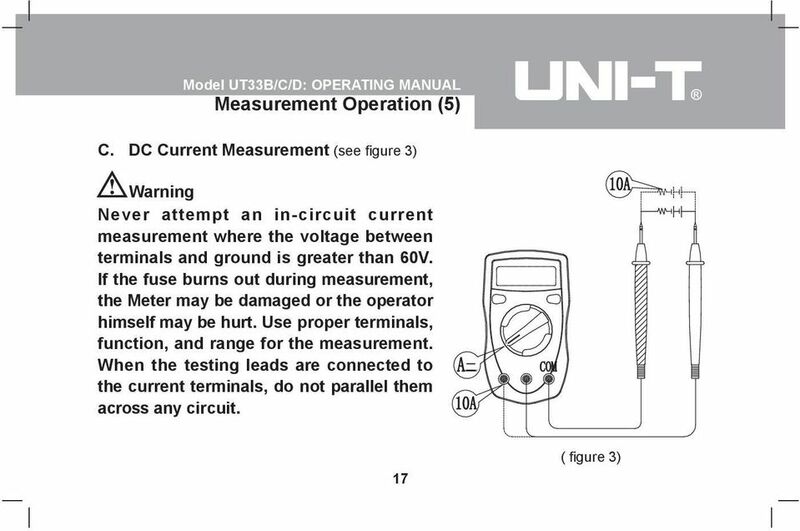 DC/AC CLAMP METER. 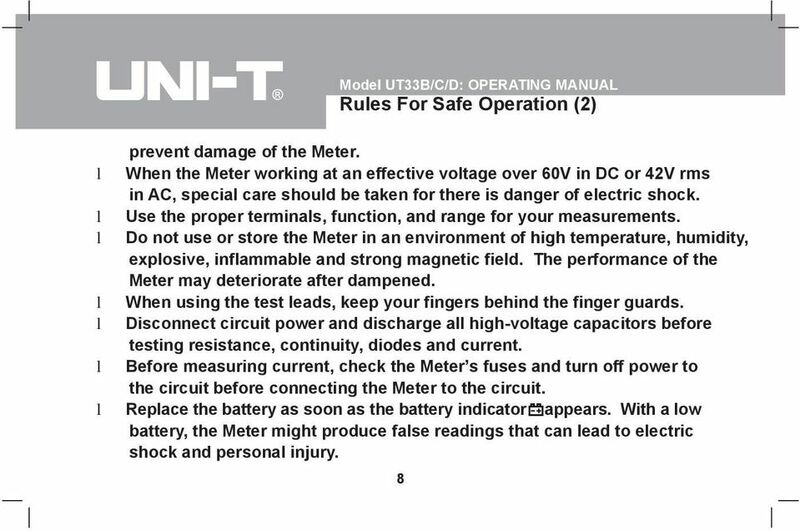 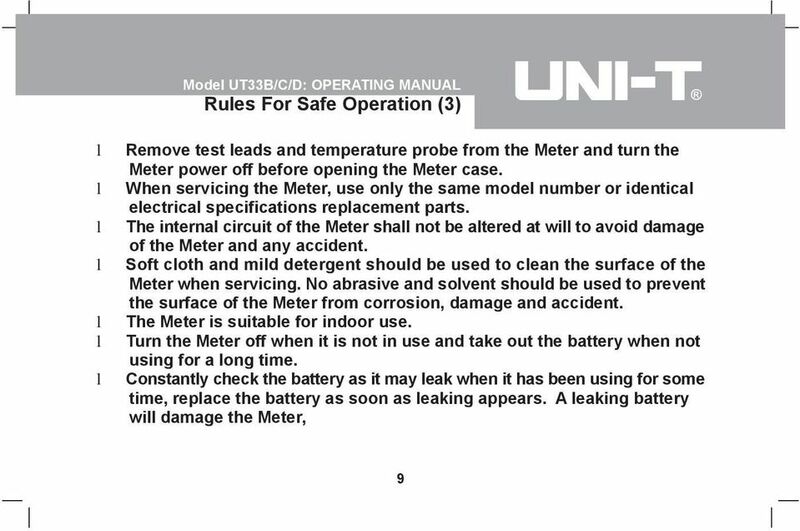 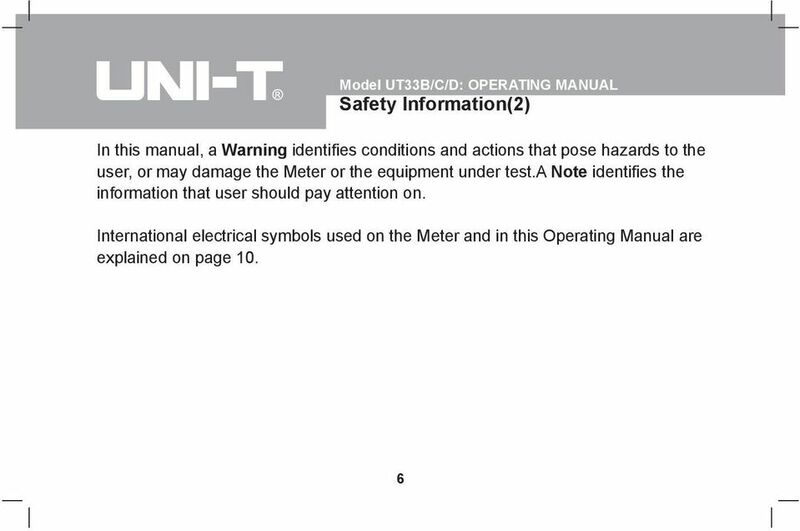 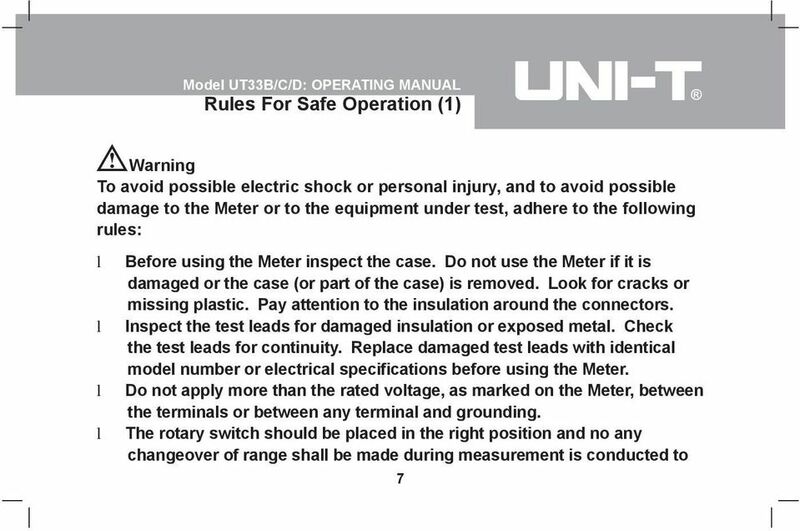 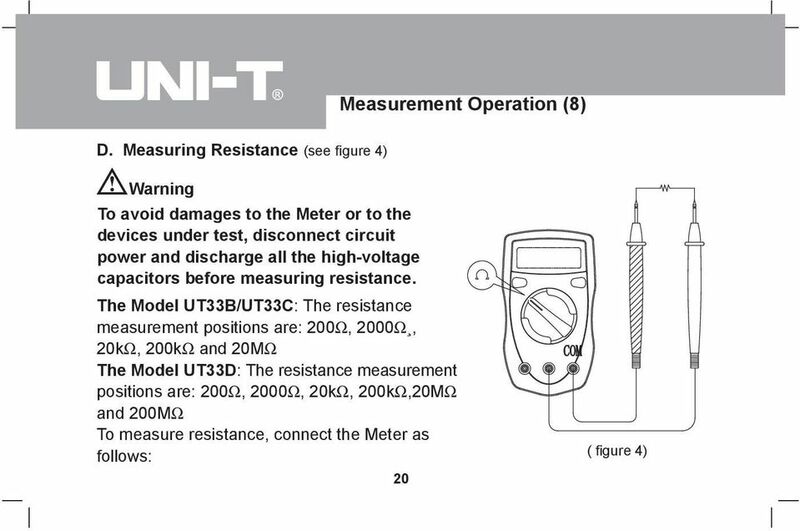 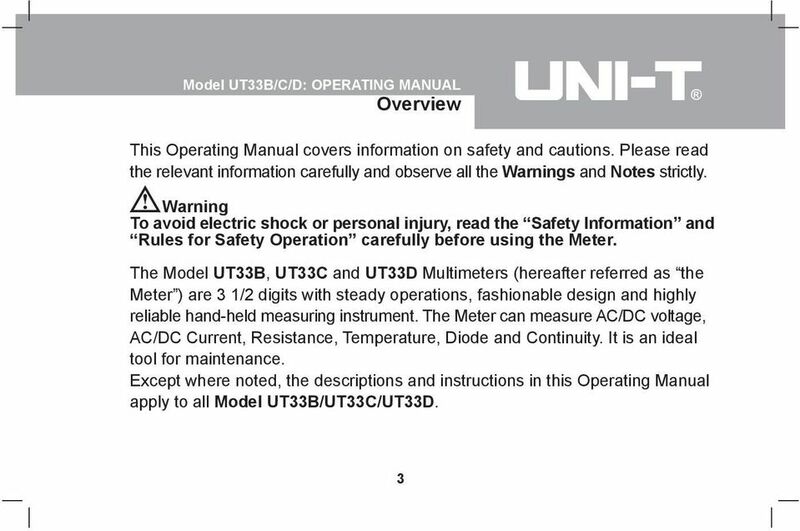 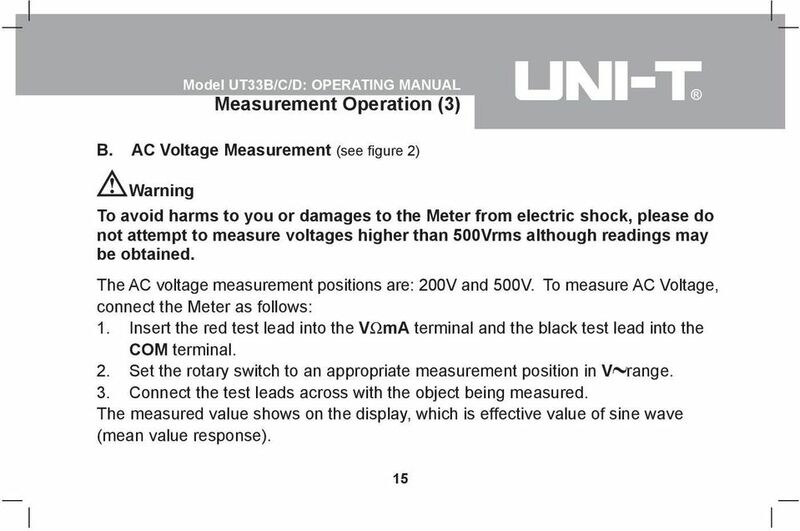 Model CM-01 USERS MANUAL PROVA INSTRUMENTS INC.
DC/AC CLAMP METER Model CM-01 USERS MANUAL PROVA INSTRUMENTS INC. EN 61010-2-032 CAT II 600V CAT III 300V Pollution Degree 2 SYMBOLS showed on the clamp meter or in this manual: Caution, risk of danger. 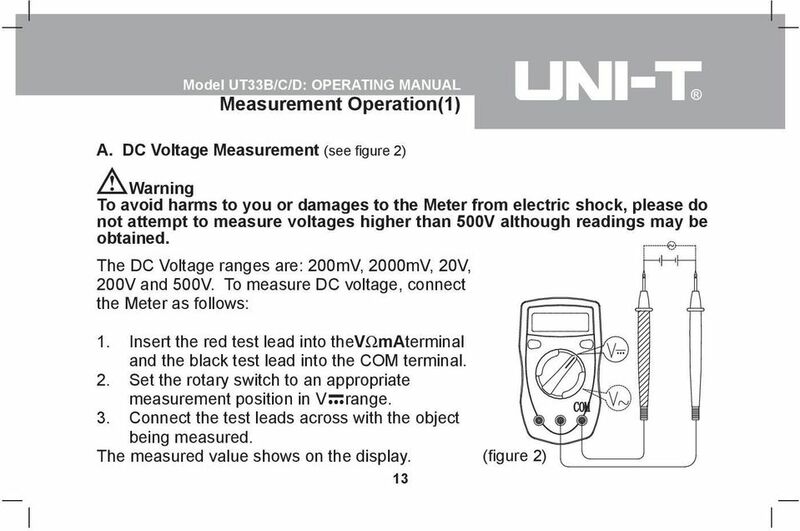 Models 110, 111 & 112 Multimeters Introduction The Fluke Model 110, Model 111, and Model 112 True RMS Multimeters (hereafter "the Meter") are battery-powered, with a 6000-count display and a bar graph. 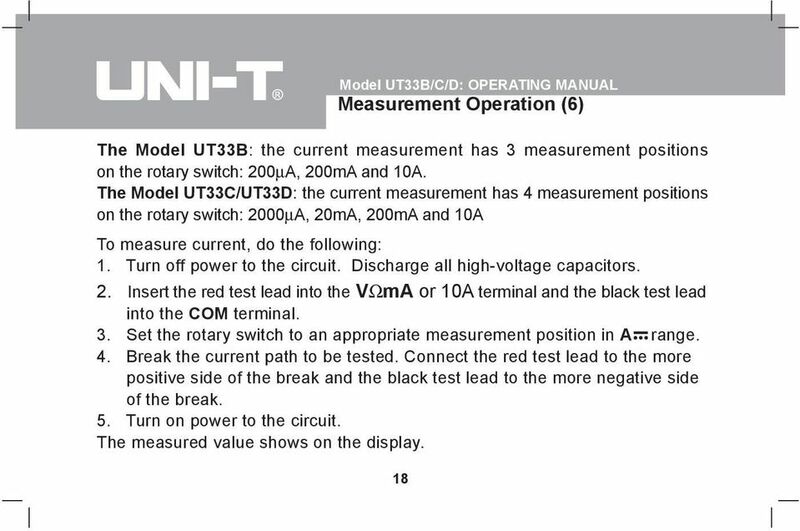 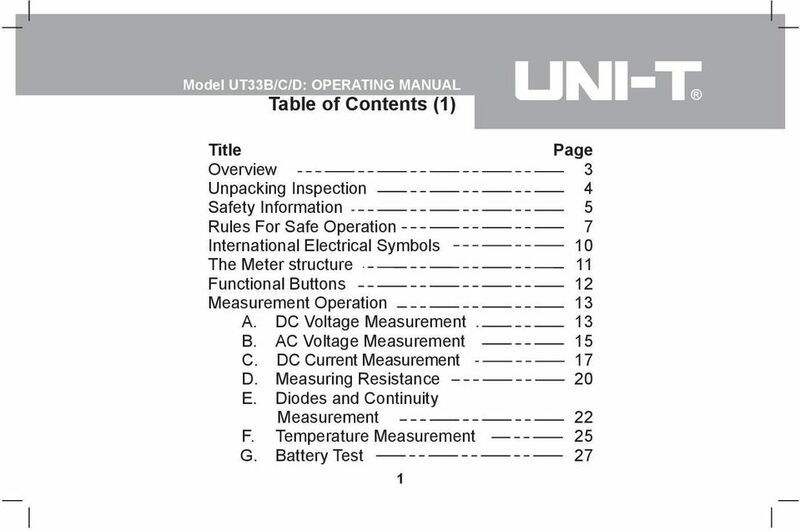 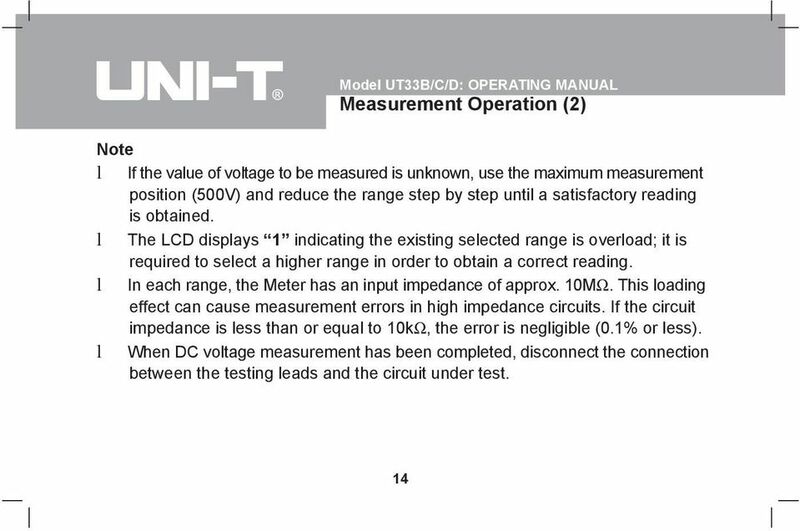 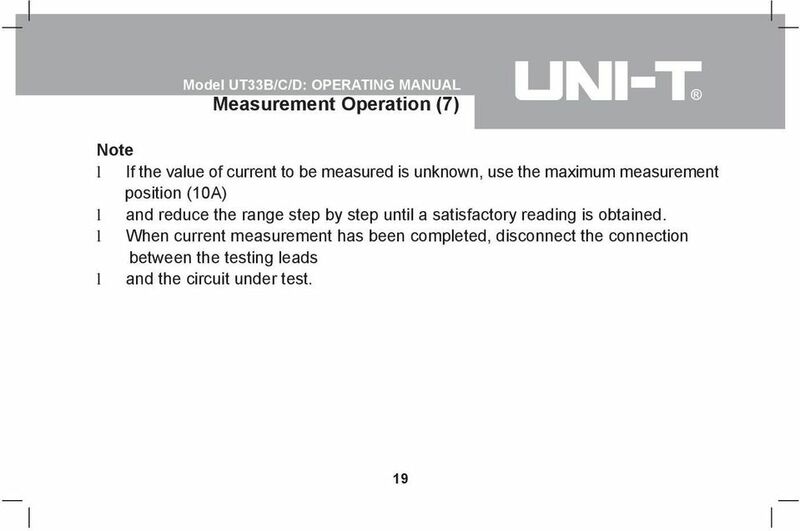 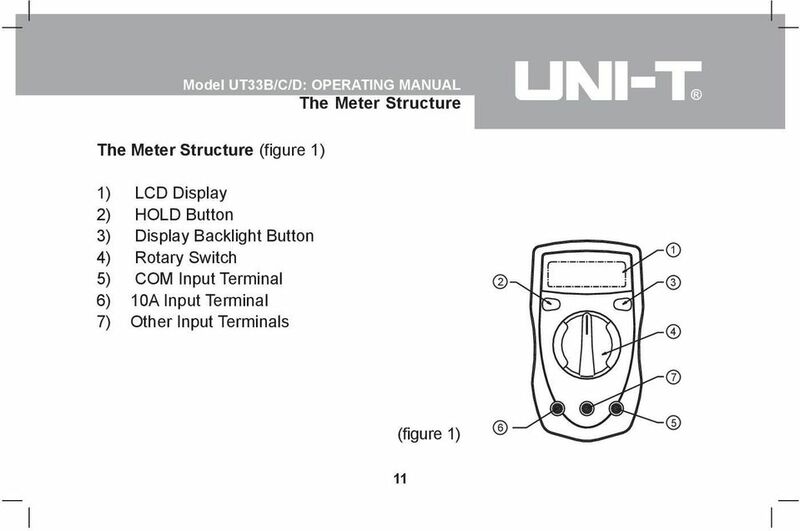 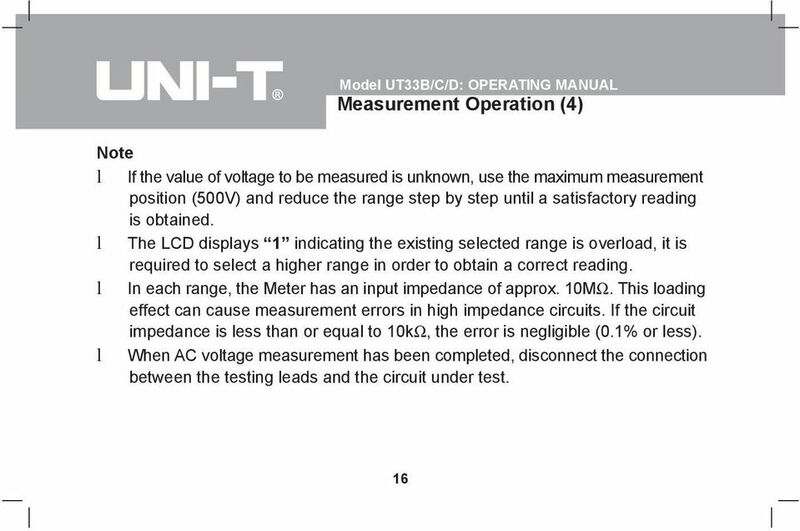 133 Digital Multimeter Instruction Manual TABLE OF CONTENTS page A. 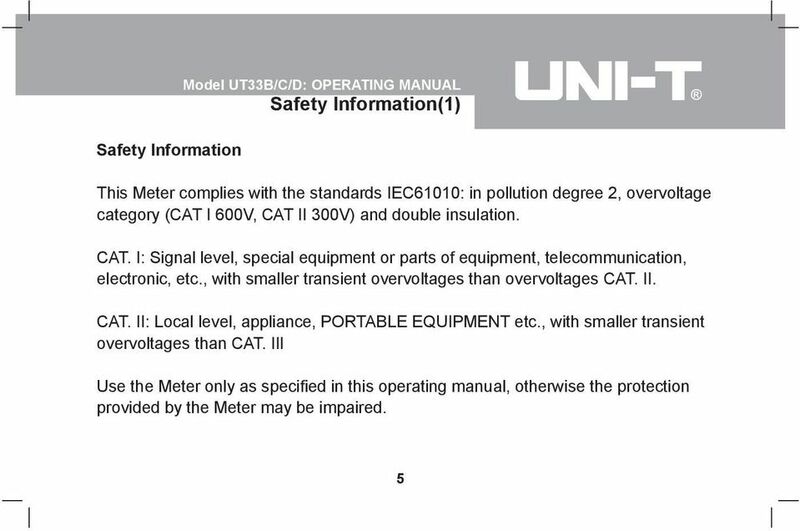 INTRODUCTION 1. 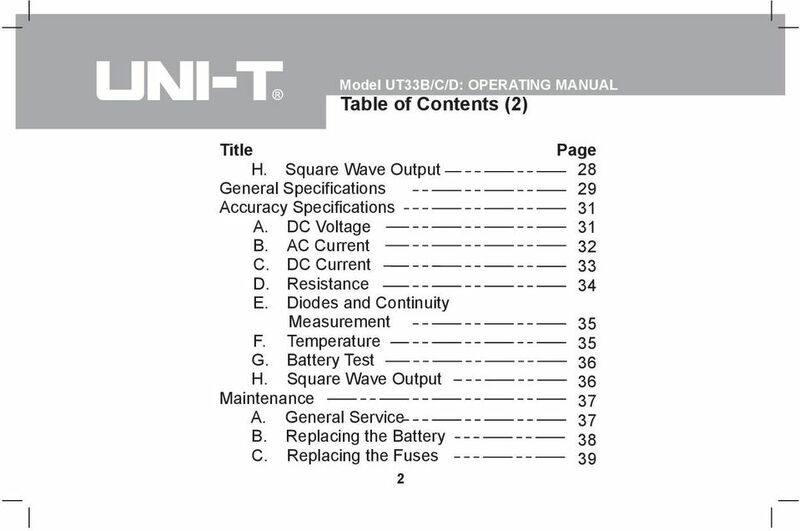 Congratulations..................3 2. 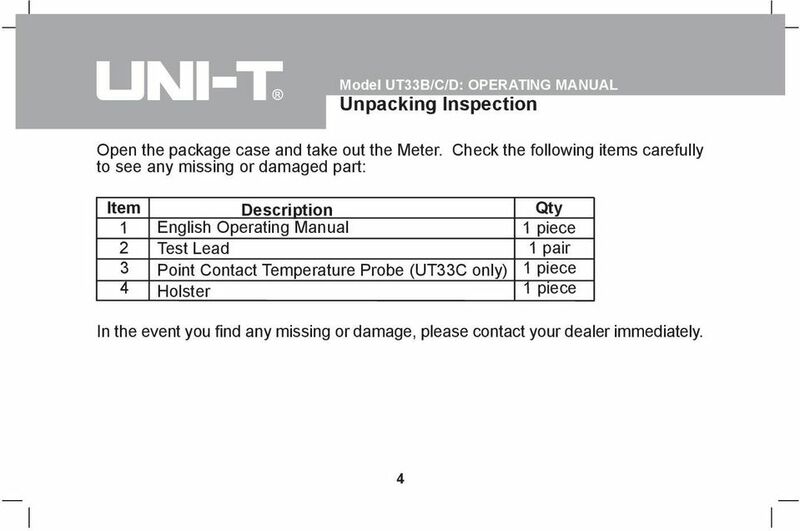 Product Description..............3 3. 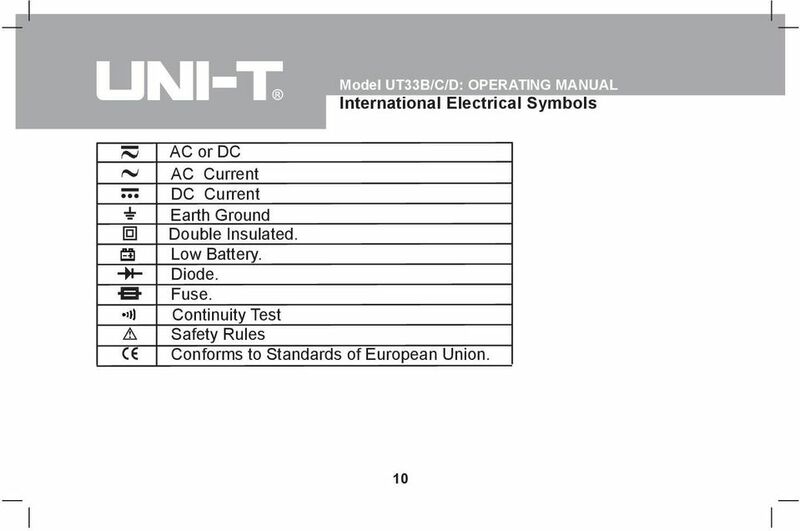 EC Declaration of Conformity........4 B.